Wake up to the fresh smell of the Atlantic Ocean. 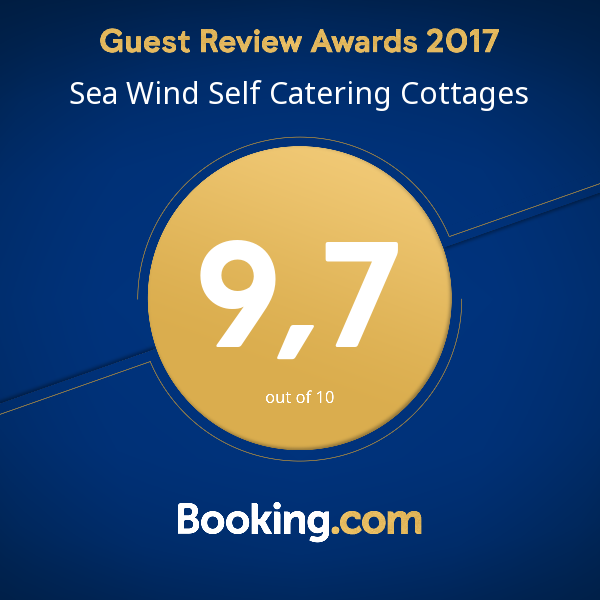 Fall asleep listening to the rhythm of the waves beating against the beach... A stay at Sea Wind Self Catering Cottages is a delight to one’s senses. 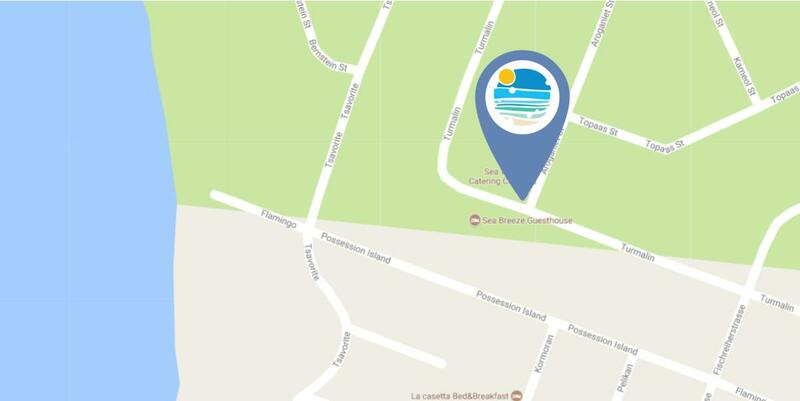 Our cottages are located within walking distance to the beach, Platz Am Meer Mall and the tranquil Paddock Gardens. And for an effortless holiday, a complimentary cleaning service is provided. Secure off-street parking is available for your peace of mind. 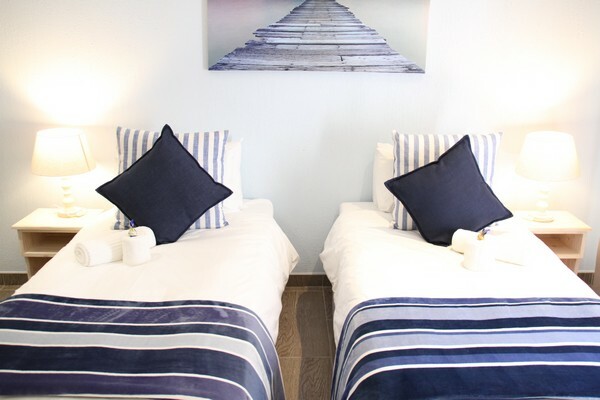 We have a variety of cottages on offer to meet your specific accommodation needs. 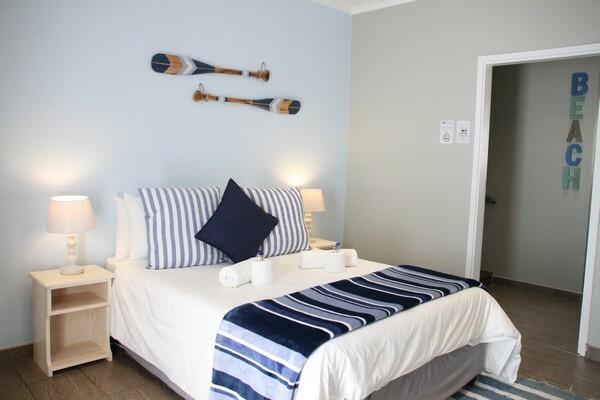 This cottage can accommodate 2 single people on the 2 x single beds or the cottage can be made up as a king size bed for a couple. 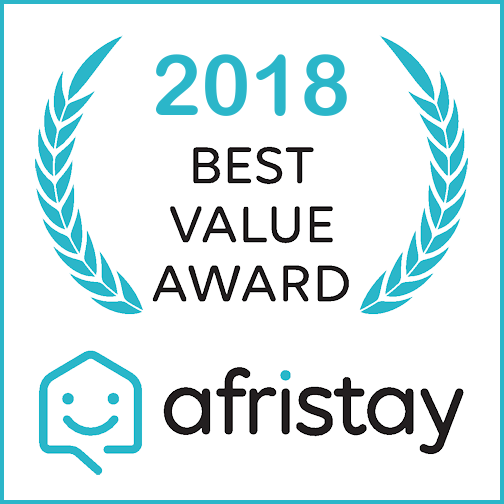 It has an en-suite bathroom, Fully equipped kitchenette, Flat-screen TV, DSTV, Wi-Fi, Patio and Braai (BBQ), Private Entrance, Secure Parking and a Daily Cleaning Service. 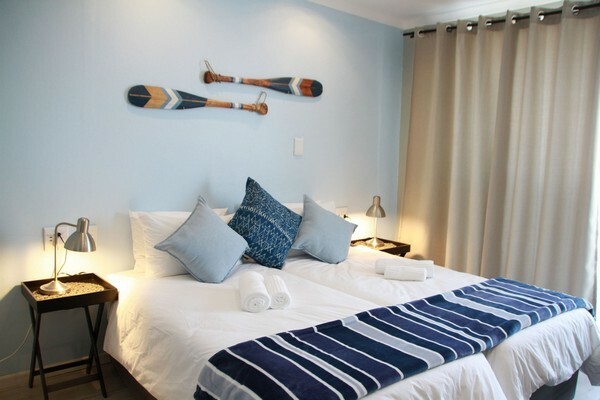 This cosy cottage is great for a single person and as well as being comfortable for a couple, as it has a double bed. 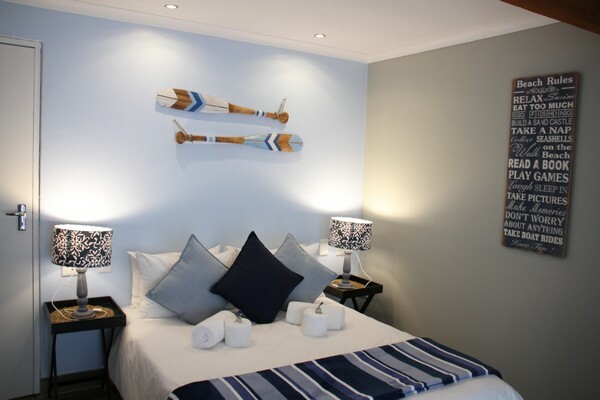 Cottage 3 features an en-suite bathroom, Fully equipped kitchenette, Flat-screen TV including DSTV, free Wi-Fi, Private Entrance, Small Patio, Secure Parking and Daily Cleaning Service. Perfect family cottage with 2 bedrooms each with 2 single beds in them. 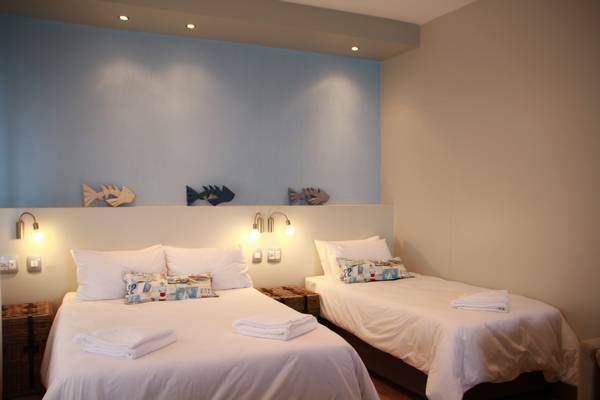 The 2 bedrooms both have a beautiful Sea View. 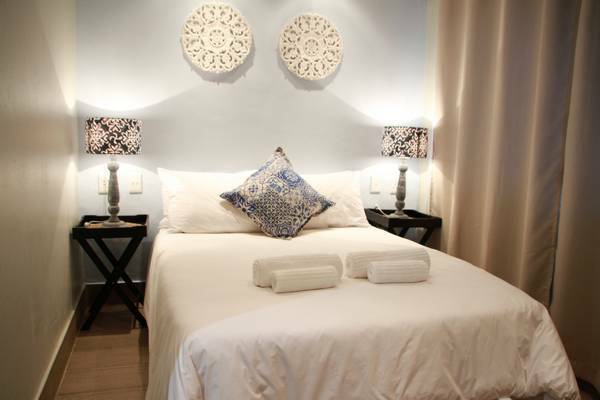 The cottage has a Bathroom, a Lounge and a Fully equipped Kitchen. 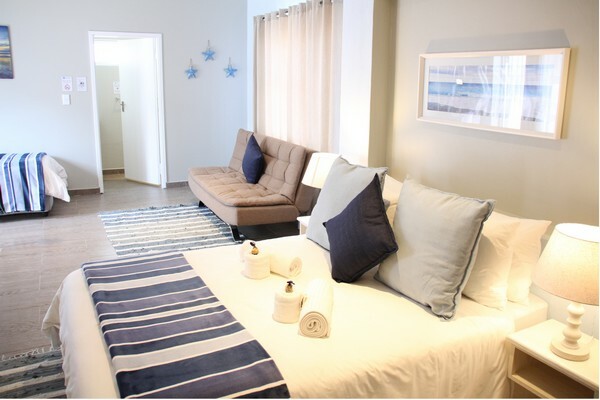 Flat screen TV, DSTV, Wi-Fi, Outside deck, Private Entrance, Secure Parking and a Daily Cleaning Service. 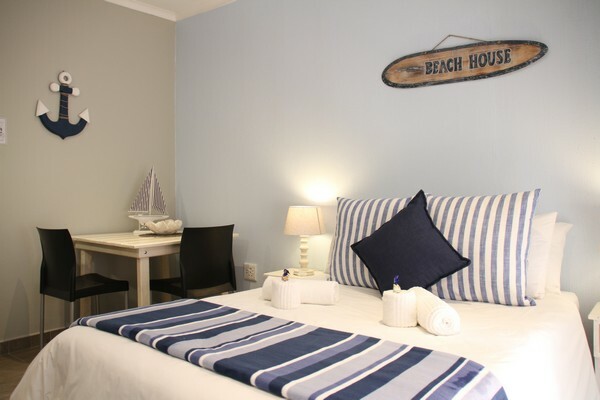 This cottage can comfortably accommodate 2 single people on the 2 x single beds or the cottage can be made up as a king size bed for a couple. 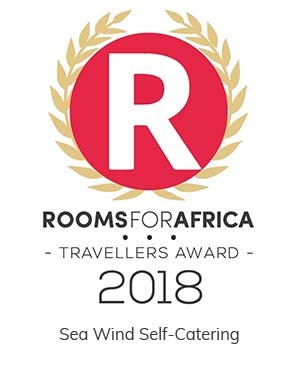 It has an en-suite bathroom, Fully equipped kitchenette, Flat-screen TV with DSTV, free WiFi, Private Entrance, Secure Parking and a Daily Cleaning Service.